One U.S. service member is missing after a U.S. Black Hawk helicopter crashed off Yemen's coast Friday. U.S. forces in the area are searching for the missing service member, who was aboard the aircraft, according to U.S. Central Command. U.S. forces rescued the five other service members who were on board. Their condition is unclear. The crash, which officials are describing as a training accident, happened about 20 miles off the southern coast of Yemen at about 7 p.m. local time. An investigation will be conducted, according to CENTCOM. At this point, it's unclear what caused the crash. The crash isn't the first one for a military helicopter in 2017. 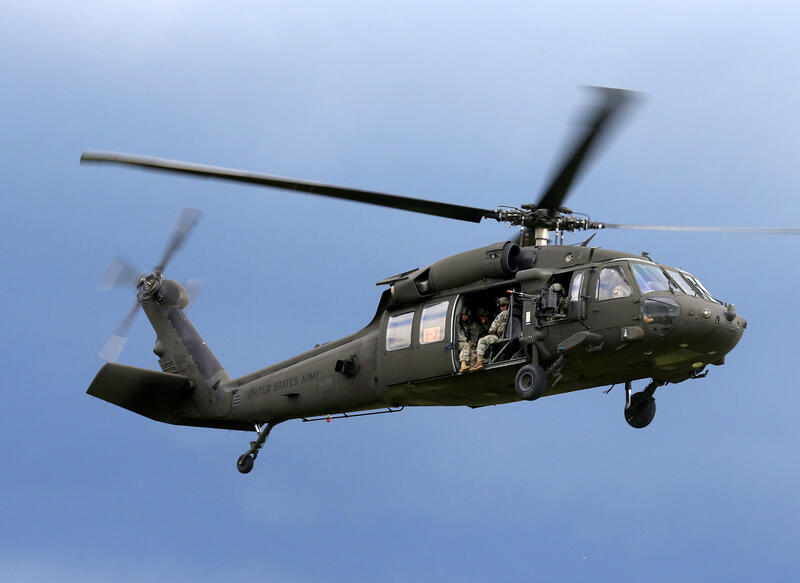 Earlier this month, an Army Black Hawk helicopter crash off the coast of Hawaii left five soldiers missing, ultimately forcing the Army to suspend its search and presume the soldiers dead. In April, a Black Hawk helicopter crashed into a Maryland golf course, leaving one person dead and two injured.